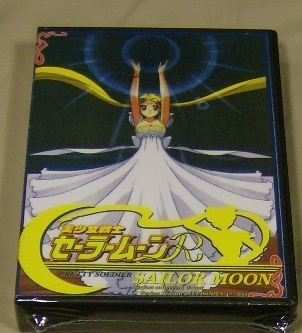 Not Ready to Buy the Complete Sailor Moon DVD Series Just Yet. No Problem. Choose the Season You Want Right Here. Sailor Moon R is split into two different arcs. First space aliens Alan and Ann, disguised as normal students, arrive on earth and the sailor scouts must fight together to stop them. Peace is once again shattered when Sailor Moon and the scouts must protect a little girl named Rini and fight against the Black Moon family. To protect their future from doom. 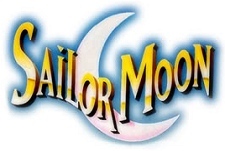 innocent victims, but Sailor Moon and the scouts must stop them with the help of the of the outer sailor scouts Neptune, Uranus, Pluto and Saturn. Plus the aid of an old friend from the future. The Sailor Scouts battle against the Dead Moon Circus (Zirconia, Nehelenia, the Amazon Trio, and The Amazoness Quartet), who want to take over the world by stealing peoples dreams. With the help of Pegasus and Sailor Moon Mini the Scouts must fight to save the worlds dreams. Sailor Moon Sailor Stars is split into two arcs; the first arc deals with an enemy they thought was dead: Nehelenia, who comes back with one intention - to destroy everything that Sailor Moon loves. After they defeat Nehelenia, a new threat comes from beyond the solar system, along with new scouts, the Sailor Starlights. But determining whether they are friend or foe is harder than it looks. And on top of that, Darien has gone overseas to study and Seiya of the idol group "The Three Lights" is interested in Serena. This is the Japanese Audio Version as Season 5 was never Dubbed for Release in the US. When Darien was little he gave a rose to a little boy named Fiore. Fiore promised that one day he would bring him lots of flowers. Now Fiore has come back to earth but his intentions are not merely to fufil a promise. An unusual snow storm hits Tokyo and the Sailor Scouts discover that an evil snow queen Kaguya, wants to freeze the entire earth. It's up to the Inner Sailor Scouts along with the Outers, to defeat the Queen. Meanwhile, Luna falls in love with a human astronomer named Kakeru whose girlfriend is an astronaut about to take a space shuttle mission. Kakeru becomes ill and Luna wishes she could be a human to help him. Everywhere around the world, the children sleep. Unaware of danger lurking in the shadows. But tonight, a strange darkness floats in the wind. The children, one by one, begin to disappear. It seems to be a supernatural force that feeds on their dreams. It is up to Sailor Moon and the Sailor Scouts to prevent the approaching Darkness. If you are not satisfied with the Season you buy return it to me within 30 days and I'll give you a full refund. All you pay is return shipping. Want to Pay With PayPal? This is the Japanese Uncut Version which was Never released in the US with English Audio. 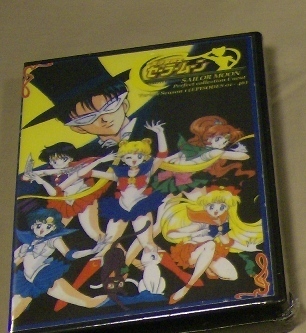 Part 1 and 2: This is the Japanese Uncut Version which was Never released in the US with English Audio.